Buy from The Beckett Store with confidence. 2006 edition: FIRST UPDATE IN 5 YEARS! Includes more than 22,000 player names listed alphabetically with expanded easy-to-read set names. 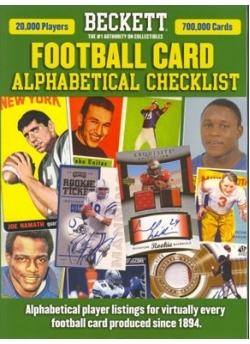 Its the perfect resource for individual player collectors with alphabetical player listings for virtually every card set produced since 1894 through 2006.